Copyright refers to the bundle of rights that is granted by the Copyright Act in respect of original works and other subject-matter for limited periods of time and subject to certain permitted exceptions. So what does copyright protect, and do you need a lawyer to register your Copyright? Copyright can be used to protect works like novels, computer programmes, screenplays, music, film, photographs, performances, paintings, sound recordings, television and radio broadcasts. Owning a copyright allows you to control the commercial or personal use of your work. How can you get copyright protection in Singapore? What are the requirements for copyright protection in Singapore? First, your work must fall within one of the recognized categories under the Copyright Act, i.e. a literary, dramatic, musical or artistic work. A simple rule of thumb is that if your work can be seen and/or heard, it is most probably protectable. The Copyright Act also recognizes cinematograph films, sound recordings, cable programmes, television and sound broadcasts as protectable works, and special rules outside the scope of this article apply to them. Second, your work must be “connected” with Singapore, a Berne Convention country, or a country in the World Trade Organization. This “connection” arises if you are a citizen/resident of the above countries. If you also intend to publish your work, the first publication must be in one of the above countries. A full list of countries in which the Berne Convention is in force can be found here, and a full list of members of the World Trade Organization can be found here. Third, your work must be reduced to some material form, i.e. recorded in a visible form as words, figures or symbols. It is sufficient to create digital versions of the work e.g. an audio recording, PDF or CAD file etc stored in a computer or other electronic means which can be used to make further copies. Thus, music composed on the fly during your jam sessions is not protectable until it is reduced to sheet music and/or lyrics. The mental visualization of an art painting must also be expressed and drawn onto a canvas (whether paper or digital) before it can receive copyright protection – otherwise, it remains merely an idea that is not entitled to copyright protection. Fourth, your work must be “original”. This means that your work was created by you, and was not merely copied from another work. It does not have to be unique, novel, creative or have any artistic merit to qualify as an original work – even computer instruction manuals are protectable by copyright! When does your work become protected by copyright? Copyright arises immediately upon creation of your work. Assuming that your work meets the above criteria, copyright protection will attach from the very moment it is expressed or fixed in a material form. In the example of an artwork, copyright subsists when you physically draw or paint your art on a canvas. Since copyright protection arises upon creation, there is no need to register your work. As in most countries, Singapore does not have a copyright registry, and the Ministry of Law has recently stated that the status quo will remain for the foreseeable future. You do not need a copyright notice for their works to have copyright protection. Putting it in a work does not grant you any additional rights, and not having one does not mean you have waived your rights. That said, a copyright notice is useful to warn the public that you are asserting copyright over your work, and to prevent would-be infringers from arguing that they had no reasonable grounds to suspect that they are infringing your copyright. This is usually done by including the “©” symbol, the year of first publication of the work and the name of the copyright owner. Who owns the copyright in the work? It is important to note the difference between authorship and ownership of copyright. Authorship refers to the person who created the work. Ownership refers to the person who owns the copyright in a work. When an employee creates a piece of work as part of his job, the employee is the author, but the employer will automatically own the copyright in the work unless there is an agreement to the contrary. For journalists, the employer possesses the right to publish and reproduce such works, but journalists still retain the right to publish the work for other purposes such as collation into a book. If you are commissioned to create a photograph, portrait, engraving, sound recording or cinematograph film, the person who commissioned or paid for the creation of these works will automatically own the copyright in those works. However, the Ministry of Law intends to change this position such that the creators of these types of commissioned works are the default owners of the copyright instead. Authors can also transfer ownership of their copyright to another person, by assigning the copyright. The author will no longer own the copyright. The Ministry of Law also intends to introduce a “right of attribution”, such that an author of a work has a personal right to be attributed when his work is used, even if he no longer owns the copyright. Infringement: when is it unlawful for someone to use my copyrighted work? Copyright is a bundle of exclusive rights, i.e. only the copyright owner can do certain things with his work, such as reproducing it, performing it in public, publishing it, adapting it, or renting it out. If a third party does these things without the consent or licence of the copyright owner, and the third party does these things in Singapore, he may be liable for copyright infringement. However, it must be shown that he has taken the whole or “substantial part” of the copyrighted work. There is no definition of a “substantial part” and it differs in every case, but it generally refers to the main value of the copyrighted work. A third party may also be liable for secondary infringement, where he facilitates and helps others to infringe your copyright. If your copyright has been infringed, you can take legal action against the infringer. Various remedies are available, including injunctions to stop the infringing activities, monetary compensation, and orders for the infringing copies to be delivered up and destroyed. You may wish to seek a lawyer to obtain legal advice on the appropriate remedies or enforcement actions in your case. Defences: When is it lawful for someone to use my copyrighted work? Not every situation where a third party reproduces or deals in your copyrighted work without your consent is an instance of copyright infringement, as the law recognizes several “fair dealing” defences. If a third party reproduces your work for research and study purposes, for criticism or review purposes, or to report current events, he may not be liable for infringement if he fulfills other statutory requirements. The Ministry of Law also intends to enhance the fair dealing defences by introducing a purpose-based exception for educational uses. If a copyrighted work is freely accessible online, teachers and students in non-profit schools will be allowed to use it for educational purposes. How do I commercialize my copyright? Copyright may be licensed, assigned or transferred in exchange for monetary consideration (i.e. price to use your copyright). Each of the individual exclusive rights can also be dealt with separately. For instance, the copyright owner can license or assign the right to reproduce his work in a material form to one person and the right to perform the work in public to another person. He can also license or assign the copyright in terms of the whole or part of the copyright period or by geographical area It is not uncommon to have a large number of licensees and/or owners of different parts of the copyright in a particular work. Another option is to appoint a Collective Management Organization (CMO) to manage your copyrighted work for you. The CMO will administer and negotiate licences with third parties on your behalf, collect royalties or fees on your behalf, monitor the use of your works, and help enforce your rights. Importantly, an assignment of copyright is ineffective unless it is in writing and signed by the copyright owner. It is thus recommended to have a contract to document the assignment of licence. In this case, it will be useful to have a lawyer draft the documents necessary to ensure you are properly paid for the use of your work. If you have any questions on legal clinics, you can get a Quick Consult with Melvin Pang or other lawyers. With Quick Consult, from a transparent, flat fee of $49, a lawyer will call you on the phone within 1-2 days to give you legal advice. This article is written by Melvin Pang from Amica Law and edited by Tan Jia Xin from Asia Law Network. 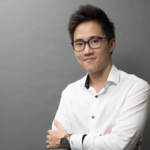 Melvin is a Director of Amica Law LLC and his legal practice primarily focuses on IP litigation and enforcement, managing the trade mark portfolios for both local and international clients as well as handling and advising on pharmaceutical regulatory compliance and the patent linkage process in Singapore. Melvin regularly advises and represents locally listed corporations as well as Fortune 500 companies, including Starbucks and Amazon in the end-to-end protection of their brand and trade mark portfolios beginning with managing the search and registration of their trade marks to appearing at infringement, opposition or invalidation actions at both the Registry and Court-levels to devising and executing anti-counterfeiting and enforcement strategies.